The alkali metals are soft and extremely reactive metals, each of which has only one electron in its outermost shell. Listed in the periodic table of the elements as Group 1. In order of increasing atomic number, they are lithium, sodium, potassium, rubidium, cesium and francium. All of their lower-lying electron shells are completely filled. The chemical reactivity of these metals becomes steadily greater with increasing atomic number. Three factors contributing to the reactivity of the alkali metals are the amount of positive charge in the nucleus, the distance to the outermost electron and the shielding by the other electrons between the nucleus and the outer electron. The positive charge of the nucleus equals the atomic number, thus lithium is 3, sodium is 11, potassium is 19, rubidium is 37, cesium is 55 and francium is 87. This increasing positive charge makes it more difficult for the outermost negative electron to leave. If it was the only factor, alkali metal reactivity would decrease with increasing atomic number. Much of the positive charge of the nucleus is kept from reaching the outermost electron by the characteristic of shielding. The negative electrons below it decrease the effective positive charge the outermost electron "feels". The shielding in part depends upon the geometry of the orbitals in which the electrons are held. This helps determine reactivity, but for the alkali metals, the third factor affects reactivity the most. Distance from the nucleus is the overwhelming factor in elemental reactivity because the attraction between positive and negative charges decreases as the square of the distance between them increases. If an electron has its distance doubled from the nucleus, the electrostatic force is divided by four. As a result, distance from the nucleus often determines chemical reactivity. The smaller the distance, the more reactive an electron-loving element is. The smaller the distance, however, the less reactive an alkali metal is. Based on these three factors, francium is most reactive, followed by rubidium, cesium, potassium and sodium, in that order. 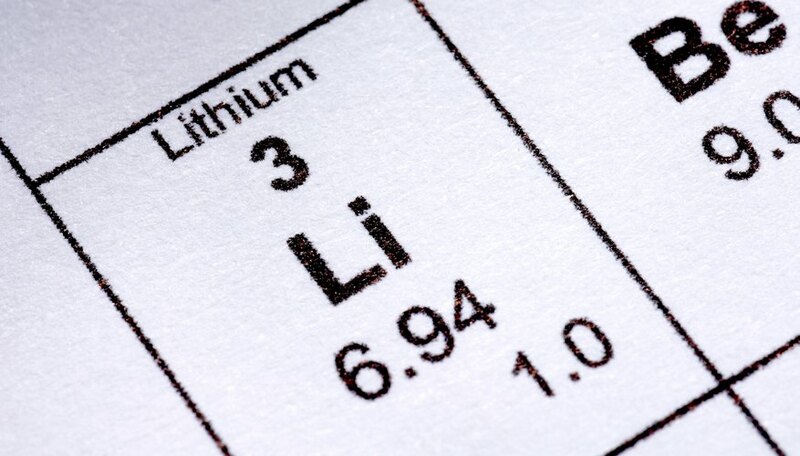 Finally, lithium is the least reactive of the alkali metals. Since the distance between the nucleus and the outermost electron is essentially the radius of the atom, this increasing reactivity with increased distance between nucleus and outermost electron makes sense. As the radii of the atoms are lithium 167 pm (picometers), sodium 190 pm, potassium 243 pm, rubidium 265 pm, cesium 298 pm and francium is larger still. Summers, Vincent. "Relationship Between the Atomic Number & the Chemical Reactivity of Alkali Metals." Sciencing, https://sciencing.com/relationship-between-atomic-number-chemical-reactivity-alkali-metals-35658.html. 24 April 2017.